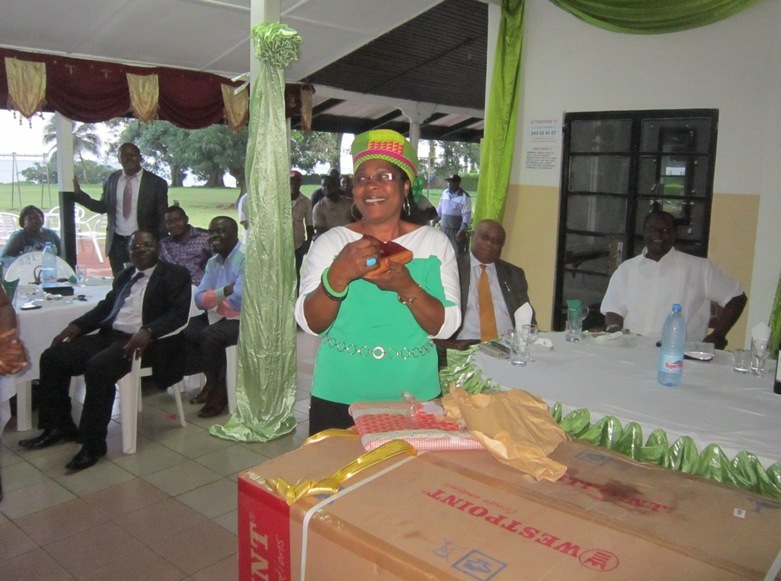 The former Finance Director of the Cameroon Development Corporation (CDC) Mrs Welang Pauline is now on retirement. On his part, the Director of Human Resources, Henry Ikome Becke read Mrs Welang’s career profile in the CDC. In his narration, he said “Mrs Welang was recruited in the CDC in September 1985 and from then till her retirement, she occupied many key positions in the Finance department such as: Sales Accountant, Account Manager and Head Office Management Controller. In 2001, she was appointed as the Finance Director, where she spent thirteen years in that capacity.” In 2014 she was appointed Technical Adviser to the General Manager in charge of Financial and Commercial Matters, a post she held till her retirement in 2015. Reacting to previous speakers, Mrs Welang Pauline made a presentation of her humble life in her native Kejom Ketinguh in the Babanki Fondom of the North West Region of Cameroon. She highlighted inspiration drawn from her late uneducated father and her hopes for the future. She advised the younger generation to be focused and ambitious. “When you work, work for something,” she said. Mrs Welang also thanked everybody who helped her to go through her long journey in the CDC.